Vegetables play the main role in our dietary plan and help to support normal function of all our body systems, and there are many benefits of eating vegetables every day. For many people, vegetables are the main sources of vitamins, minerals, carbs, organic elements, essential oils, phytonutrients and so on. 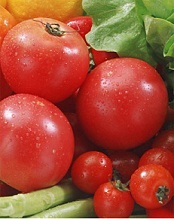 However, not everyone of us likes eating vegetables every day: people prefer sweeter and more tasty natural foods – fruit. At the same time, regular consumption of fresh vegetables improves our digestion and normalizes our intestinal bacterial balance, as well as helps to cleanse our body systems and lower the amounts of toxic elements in it. 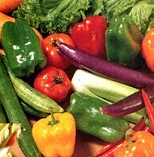 In addition, vegetables are the most valuable and recommended foods for those people, who need to follow a healthy diet. Other benefits of eating vegetables include their therapeutic properties, such as positive effects on our immune system, and so on. To receive maximum of these effects, fresh vegetables need to cover up at least 20% of your daily diet. However, eating raw vegetables is not always as useful as it is considered to be. British nutritionists from the Institute of Food Research studied the proprieties of raw and boiled vegetables, and the results came out quite surprising. In particular, they tried to compare the nutrient contents of raw and boiled carrots, spinach, broccoli, tomato, eggplant and potato. It turned out that it is better to digest the beta carotene we receive from boiled carrots than the one that we receive from raw carrots. In addition, boiled carrots have three times more antioxidants. The same can be said about carotenoids that we receive from boiled spinach and broccoli. 10-30% of these carotenoids can be digested, but only 3-4% of the carotenoids we receive from raw vegetables can be digested. Similarly, we can easily digest the lycopenes we receive from boiled or baked tomatoes than the ones we receive from raw tomatoes. And what about eggplants and potatoes? The nutritionists say that after baking or boiling most of the toxic elements are removed, that is why their nutritional value increases.